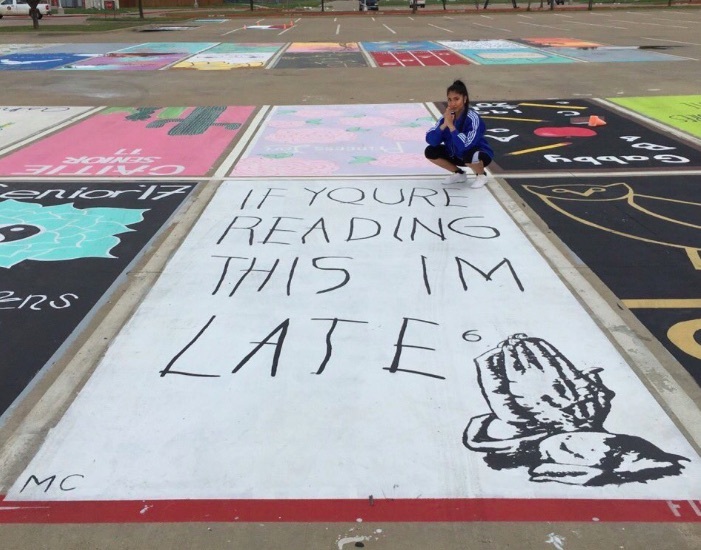 These high school seniors painted their parking spots and it's legit art! When you finally become a senior in high school, one of the best new privileges is that – if you are lucky enough to have a car – you can enjoy the responsibility of driving to school. Then there’s the fact that you get a nice parking space that’s all yours! And hey, some teens are taking advantage of their fancy new digs by painting their parking spots. And we’re not talking about just slabs of color – no, they got creative. Gotta love a sense of humor! “The only thing that’s going to motivate me to wake up for school tomorrow morning is pulling up in my parking spot.” She does make a good point. Awwwww. We love this special message. It certainly improves the aesthetic appeal of the parking lot! Okay, a Reese’s-themed spot? You’ve won our hearts FOREVER. Yes! Can’t get enough of these colors. All the love for Napoleon Dynamite!